Today I have some cute patterned Jamberry Nail shields to share with you! These nail shields are a thin plastic nail strip with an adhesive backing. They fit to your nail like a Sally Hansen nail strip, but since they aren't made of actual polish they are supposed to last longer. I haven't done a wear test so I can't speak for the wear time. They come in tons of patterns and you can even upload pictures and design your own (which I will be doing here shortly.. hello nerdy nail wraps!) I was recently given some of these strips as a sample, and I ended up ordering a full sheet of the holographic silver nail wraps. They all look so cute! This mani is a Jamberry Nail Sheild on my index and pinky finger and two coats of piCture pOlish Dorothy who on my middle and ring fingers. My only issue with these nail decals is that they may be difficult on some nails. My nails, particularly my index fingernail, have a high arch (that's the curve of your nail from the cuticle to the tip of the nail) that caused issues with application. I followed all of the directions exactly and had one nail shield that fit perfectly (pinky) and one that wrinkled and didn't fit at all (index). I tried contacting the creator of Jamberry nail shields and was told that using a hot rice bag to heat the shield further might help, I never got a clear answer as to whether it is the shape of my nails causing this issue. Luckily my accent nail (ring finger) is very flat, so these make great accent nails for my manicures. Jamberry nail shields (set of 18 can do 18-36 nails/toes) can be purchased for $15 USD from their online store. Have you tried Jamberry Nail Shields? What is your experience with these strips? 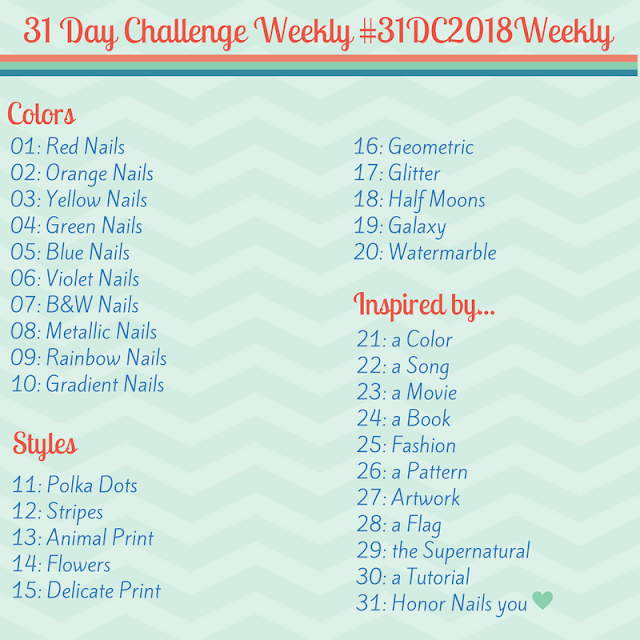 They aren't bumpy at all if your nails are relatively flat, and check out the tips that Stacia shared in her comment (below) I'm going to try them again and I will report back, the patterns are amazing! She is using a wrap that is too big, if you size it correctly and definitely use a rice bag then applications, even on curvy nails, can be much better. Your arch most definitely is causing the puckering you're seeing near the cuticle. There are a couple of tricks to help with curved nails. The first is to use a piece of a plastic baggie over the nail during application. You lay the plastic over your finger, bring the edges down, and then twist so the plastic forms a tight seal against your nail. Then apply heat. It helps to apply pressure and an even amount of heat at the same time. Another tip for curved nails is not to stretch the wrap. When it cools, it will shrink a tiny bit, and this can cause puckering on curved nailbeds. Also, be sure you're sealing the nail wrap with a rubber-tipped cuticle pusher. I smooth from the center out in all directions. And make doubly sure your wrap isn't touching any of your cuticle, and trim if it is. By the way -- Jamberry also has a Red Sparkle design that looks just like the polish you applied! Thank you so much for all of the tips Stacia! I have a set of the holographic nail shields (I believe that's the name of the pattern) that I really want to wear but I just couldn't get them to smooth out. I will definitely try all of those tips, I love the patterns so much. I'm glad you liked the review! Aaaah Holographic and the metallics take a little more heat. I'd definitely go the rice-bag route to get those babies heated and sealed. You can make one easily by putting plain white rice in cotton baby or cotton mitten (it's important that you use cotton). Secure with a rubber band (no metal) and pop in your microwave 25ish seconds. I tried the plastic baggy trick and that didn't work for me... I watched a dozen you tube videos on how to apply Jamberry Nails and I've done it 5 times now and it just does not work for me. The edges lift, buckle and ripple. I think if you have flat nails, they might work fine, otherwise, good luck. Sorry your application isn't working, do you have a consultant that can help you troubleshoot? I know that Jamberry nails do not work for everyone, but they can be super fun for those special occasions as an accent or fun pattern. I use less heat and finish with a rice bag, I do NOT file the edges I clip as much off as I can with sharp nail clippers. It has definitely helped me with my application. I have only tried them on my ring finger nail and it worked great. I should probably try them on others to see if I have the same experience. I normally just like them for an accent anyway, so I recommend them if they work on your accent nail:) Great review and your mani looks very pretty! My index fingers are always tricky with my applications. I tried them at a Jamberry party and it was SO easy with the heater they sell. I'm not sure how it would be with a blow dryer. I do have fairly flat nails though, and can't attest to the wear time yet. Hope you were able to figure out your application issues. I just came across this article and read lots of comments on here. I do not use the baggie method but the rice bags are perfect for me. Just make sure you size correctly, usually going down a size, because when the wraps are too large they will pucker or have application adhesion problems.